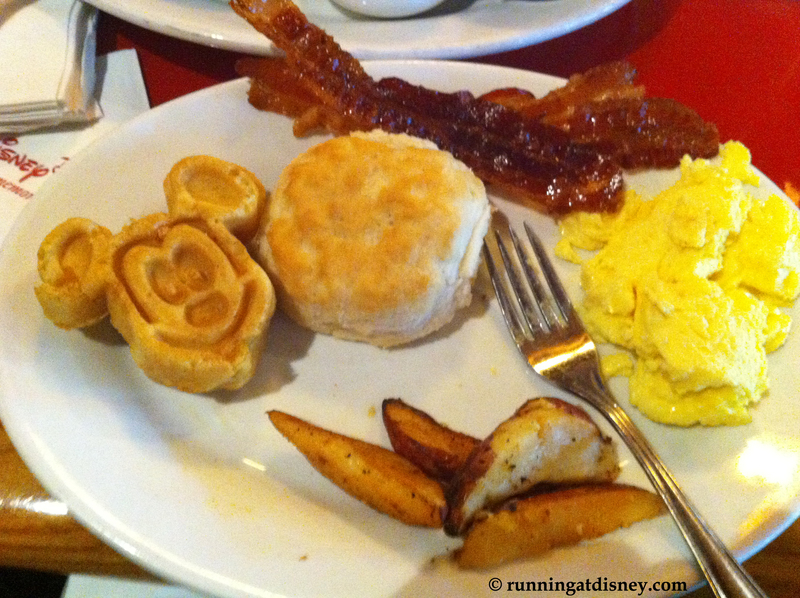 After my first 5K in 2010, myself and a large group of other Disney runners headed over to Whispering Canyon Cafe for a post race breakfast. 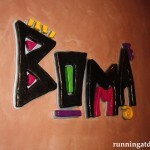 It has now become a tradition and this is the go to place to refuel after all Disney 5Ks. 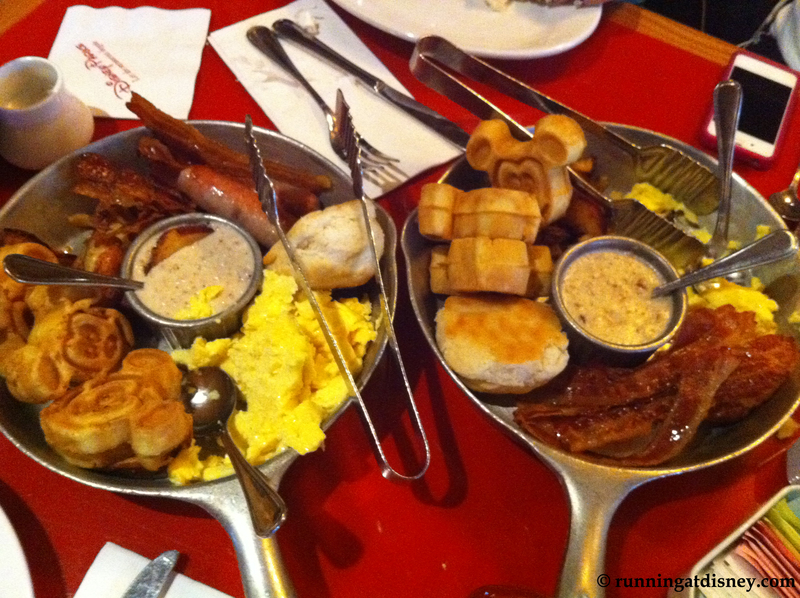 What’s better than an all you can eat breakfast skillet after a run, right??? Um…nothing! 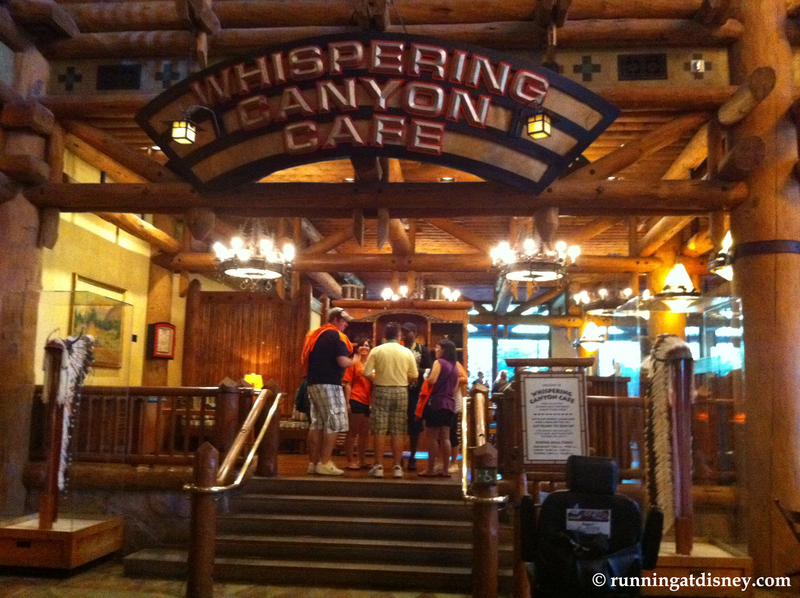 Whispering Canyon Cafe is located just off the lobby of the Wilderness Lodge Resort. It’s a fairly large restaurant and is great for big groups. Just be aware that you may be split up into multiple tables, especially if it’s crowded. It’s also a wonderful location if you have to wait a bit for a table because you can explore the lobby of the Wilderness Lodge, which is absolutely breathtaking. The breakfast menu has some interesting offerings. There is the Barbecue Eggs Benedict, which is a play on the traditional. Two poached eggs on an english muffin with Tasso pork, which is similar to ham but smokey and spicy, and a barbecue hollandaise served with roasted red potatoes….YUM! For a lighter option, there is the Egg White Omelet with spinach, goat cheese and chipotle pico served with fresh fruit and a biscuit. Now you might think that the $16.49 per person price tag is a big expensive for breakfast and I would normally agree with you, but remember that this is all-you-care-to-enjoy. Your server will refill that skillet as many times as you’d like, or if you would just like a few more waffles and some bacon you can get that too. Speaking of waffles, I read over on the Disney Food Blog a few months ago that you can get chocolate chip waffles here. I’m not sure if they’re still offering it, but it never hurts to ask. 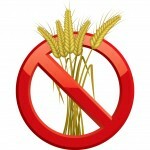 That would be a nice addition to any skillet. Oh, and don’t forget about that gravy…it will change your life! As a northerner, I’ve never really had biscuits and gravy before, but I am now hooked! Whispering Canyon Cafe is a fun place for kids and families alike. It’s loud, high energy and full of fun. There are pony races and sing alongs all throughout the day, which are fun for big groups to participate in. While there make sure to order your drinks in either a small or large size and always ask for ketchup, even if you don’t really want it. Trust me, you won’t be disappointed! But overall, make sure to behave or you might end up in jail like my friend Aurora. Tsk tsk! 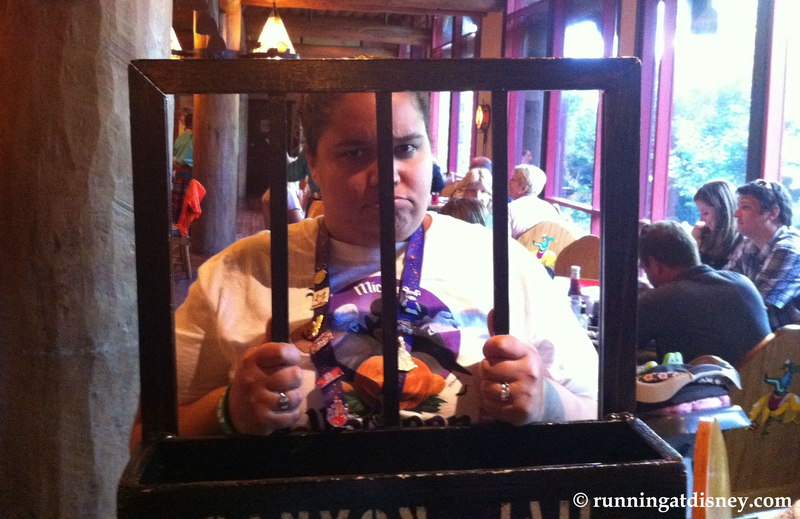 So now you know where to find me after any Disney 5K. 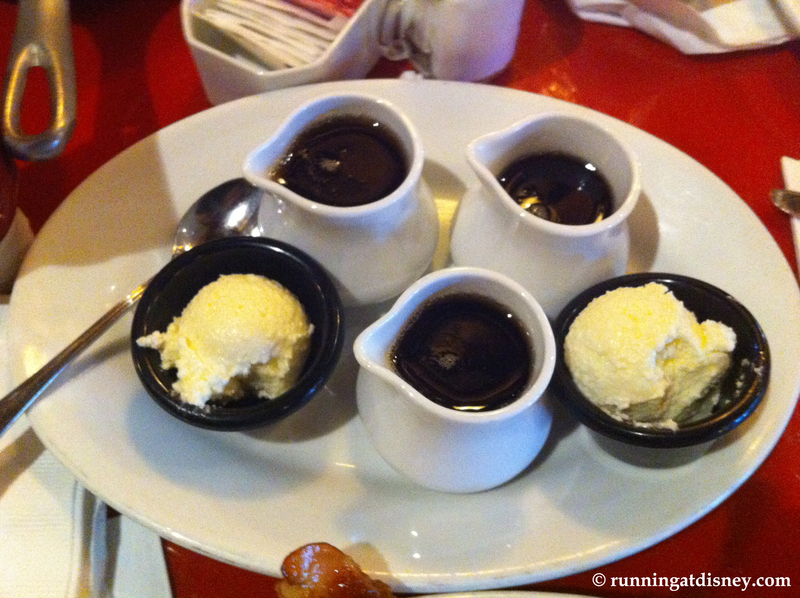 This September I’m not running in the 5K during the Twilight Zone Tower of Terror 10-Miler weekend, but I will be there with those who did and fueling for my race that night! 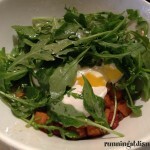 Do you have any post race meal traditions? 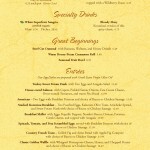 I had the egg white omelet and it was AMAZING! Maybe we should make a reservation there anyway even though neither of us are running the 5K? And why does it not surprise me that Aurora ended up in jail?!?!?! <3! Excellent choice after the 5K. 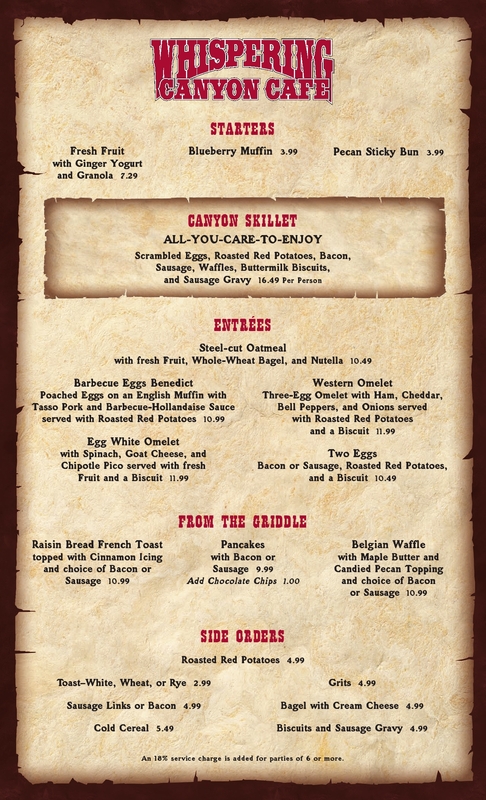 We usually do lunch at Whispering Canyon – the skillet is great, but so are the other menu items. The atmosphere is fun and lively most of the time. After a half or full marathon anything at the Polynesian works for dinner. Kona Cafe also makes a fantastic day after the races breakfast stop! « Are You Getting Enough Water?